Scott: I’m extremely excited to have our special guest on here. This guy has got such a very busy schedule because he is so busy helping investors, helping borrowers out there. We are jacked up to have Shawn Yesner, from the Yesner Law Group joining us. 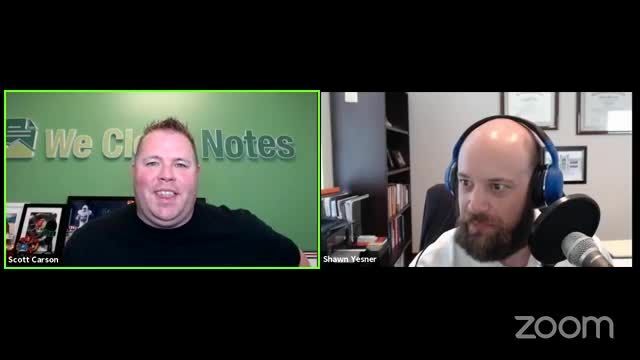 Shawn, welcome to the Note Closers Show. Shawn: I appreciate the opportunity to be on the show. Scott: For those that don’t know who you are and the magic that you do, why don’t you share with our Note Crew exactly who you are and your specialty and what you focus on. I graduated law school twenty years ago. I passed the bar and became a Florida license attorney. My entire career has been in real estate related. My first job right out of law school was doing residential and commercial closings with an attorney down in Miami, which is where I grew up. I was born in Tampa and, as they say, you can take the boy out of Tampa, but you can’t take the Tampa out of the boy. I migrated back here. I followed my instincts as to where I was born and migrated back here in 2001, took a job at what we would now call a foreclosure mill, and learned how to do foreclosures. Representing lender’s got good at it. Thought it was a fascinating area of law. My fastest foreclosure start to finish is 97 days from foreclosure sales. In 2004, the owner of the firm came to me and said, “I’m shutting the firm down. I don’t want to do foreclosure law anymore.” She ended up doing her passion, which was intellectual property, patents, trademarks, copyrights. I thought, “I could move laterally,” but I’m six years out of law school and I always knew I wanted to hang my own shingle. Let me take what I know about speeding them up and let me see if I can slow them down. That started me on the path that I’m at now. The bulk of the firm’s practice does focus still on real estate and real estate litigation, including quiet titles, evictions, partitions, foreclosures, loan mod, short sales. You can’t know all of that stuff without understanding how bankruptcy works. I do a lot of bankruptcy work for debtors and creditors. I do a little bit of bankruptcy work for creditors and then I always enjoyed doing the foreclosures from the plaintiff’s perspective, so I’ve got a good little group of real estate investors building up here in Florida that are hiring me to negotiate when they buy either performing or nonperforming notes. When something goes sideways. I represent them and help them. That’s a basic overview of the law firm.